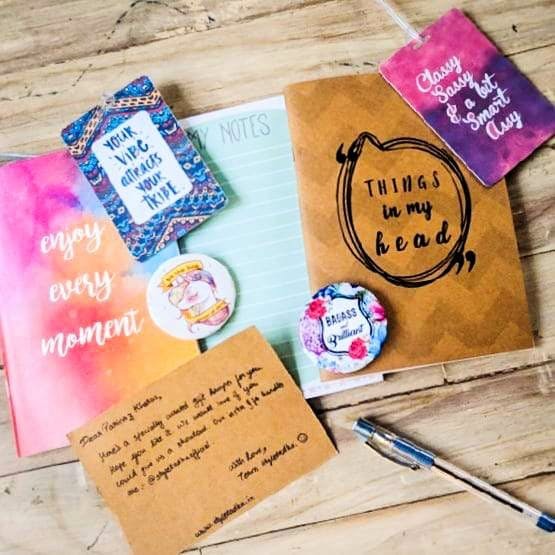 For all the stationary and graphic tee-lovers, styletadka is your go-to place for getting all these and more in subscription boxes! I received mine recently and it contained their best selling items like their cute planners, diaries, badges, baggage tags and kraft notebooks! You can also customise your goodies and they also cater to items for bridal showers, corporate gifting and bachelorette parties! Do check out their website and order your goodies today!